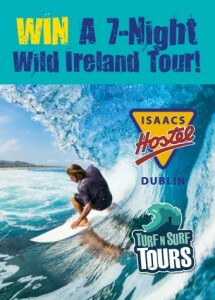 to mark the launch of the Wild Ireland Tour on the 24th of March, we’ve teamed up with the guys at TurfnSurf Tours to give one lucky winner the ultimate Irish experience. 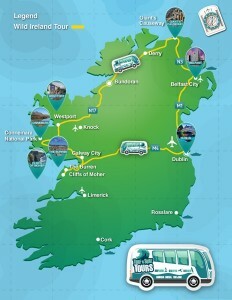 You and a friend will travel around Ireland’s top tourist highlights and those beautiful secret spots. The package (valued at €1000!) is put together by both Isaacs Hostel and TurfnSurf Tours to give visitors to or from Ireland the chance to experience the awesomeness of the whole country in just one week. It’s so good, you’ll want to do it all over again! Start off your 7 night trip with a weekend in Dublin. 2 nights in the lovely Isaacs Hostel. 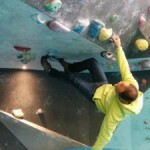 A venue that has recently been named the people’s Favourite Hostel in Dublin by HostelWorld.com. Explore the capital of Ireland and all its culture, history, or nightlife while you stay with us. Monday morning sees the arrival of the TurfnSurf crew and their great big bus. A comfortable ride to County Clare with up to 14 other tourists/new friends. The tours pride them self on the personal touch and the small group numbers guarantee this. First on the list is the impressive UNESCO designated Cliffs of Moher. A favourite for visitors to the country with some amazing views or the rural coast. Then onto the unique karst limestone landscape of The Burren. A truly rugged first view of the west of the island, gearing you up for things to come. Y our first night is in the city of Galway. A not to be missed opportunity to party with the best of them. Home for the night is the luxurious Kinlay Hostel on Eyre Square. 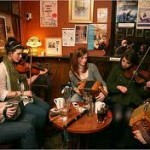 Voted best hostel in Ireland and a great base location for a night of festivities. 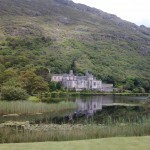 Next it is on to Connemara National Park and Kylemore Abbey. A beautiful area for walks up the Diamond Hill and a chance to see Ireland’s oldest Benedictine abbey. A majestic Victorian manor residing on the shore of Pollacapall Lough. 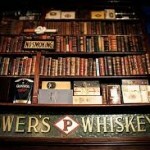 After lunch is travel to Westport in County Mayo, voted Ireland’s best place to live in 2012. There you can visit the National Famine Monument and take in the breath-taking vista of Croagh Patrick mountain, an important pilgrimage site to this day. Accommodation that evening is at TurfnSurf’s very own Lodge in Bundoran, Ireland’s surf capital. Get a good night’s sleep for all the adventuring you’ll be doing in the morning. Your choice of surfing or sea kayaking in the Atlantic, or blo-karting along the pristine beaches. After all this exertion will be a well deserved trip to the Donegal Brewing Company. A tour and a tasting before returning to the lodge and falling immediately asleep. The next day in your event packed trip is into Northern Island. Remember they use sterling up there as you visit the famous geo-landscape of the Giant’s Causeway and the city of Belfast, birthplace of the infamous Titanic. You’ll be let lose in the morning to explore after your stay in the Belfast International Youth Hostel. In the afternoon will be the trip home to Dublin with one more night in Isaacs to recover from the whole thing. 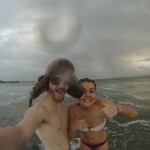 Turf n Surf – must you be mad to surf in Ireland? No, but it helps!